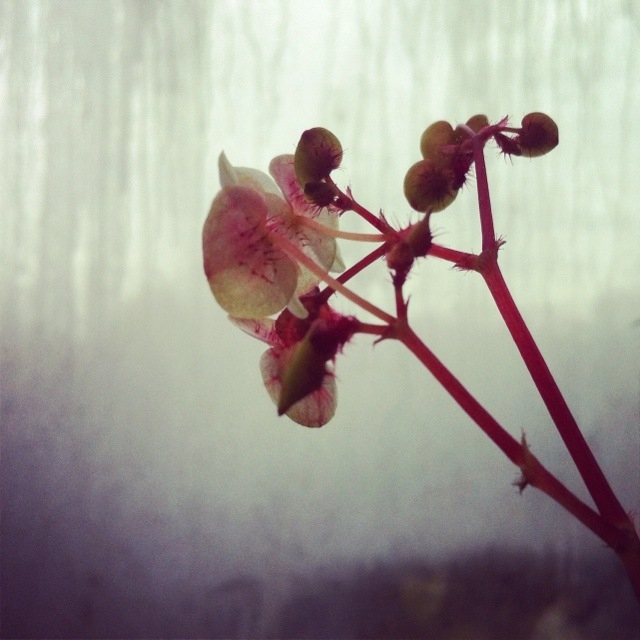 First of all let me apologize for not posting something yesterday – it was an exceptionally busy day! My evening was spent at the Mackenzie House with the Preservation Wayne Board of Directors finalizing our Membership Event that will be held next Thursday, February 9, 2012 from 6-9pm at the former SS Kresge Headquarters on Second Ave. All are welcome. 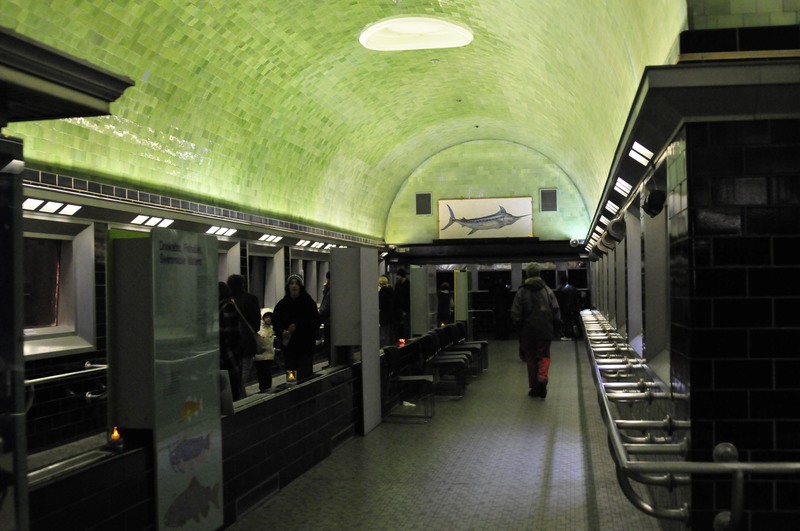 Although we should be thankful to Albert Kahn for the design of the structure, we should be equally thankful for David Heineman for bringing the aquarium to Detroit. Heineman was a Michigan legislator who was so fascinated with an aquarium he saw while traveling in Italy he brought it home. Well kind of. 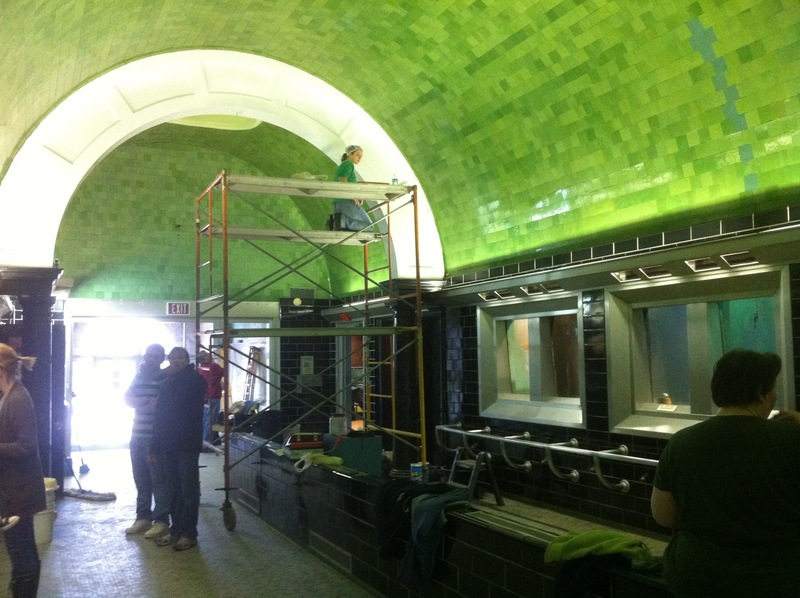 The volunteers of Friends of Belle Isle Aquarium have been working diligently in getting the aquarium cleaned up and all spanking new just for you! 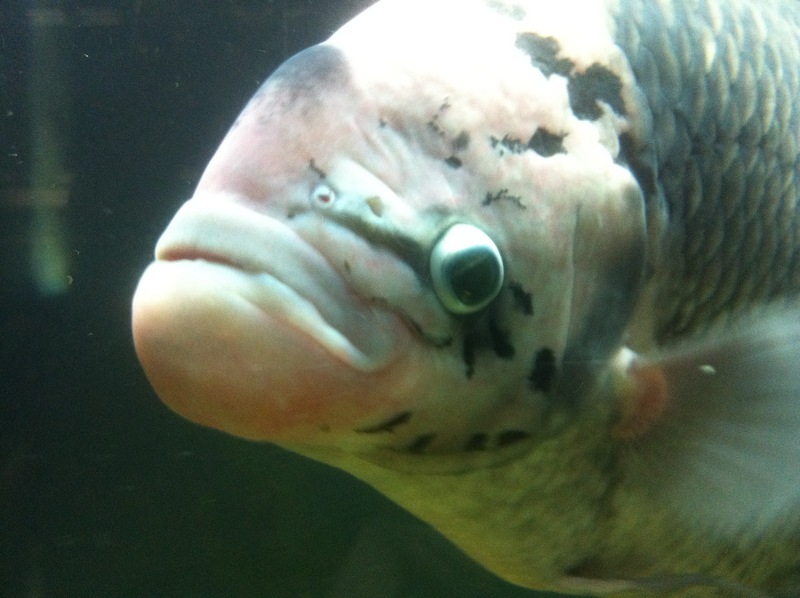 Remember the aquarium is only open TOMORROW. 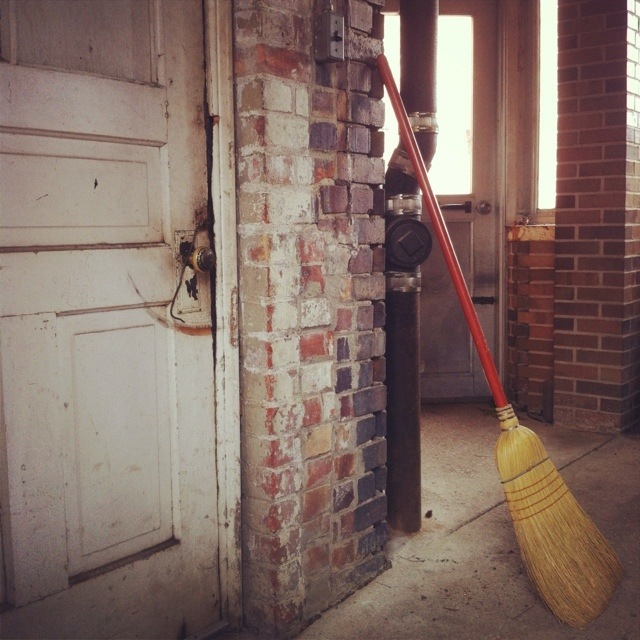 *sniff* But my friends when you stop by tomorrow – which I know you will – drop whatever donation you can in their box. Show them some Shiver or aquarium or just plain Detroit love. Whatever you wanna call it. 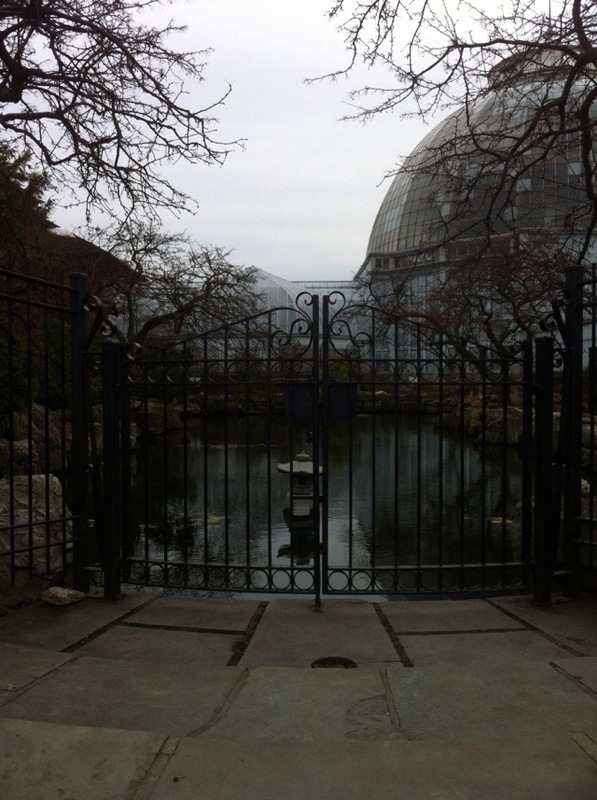 We NEED to help the Belle Isle Conservatory (the foundation, not the plant place) reopen the aquarium! Tell them you want it open all year. 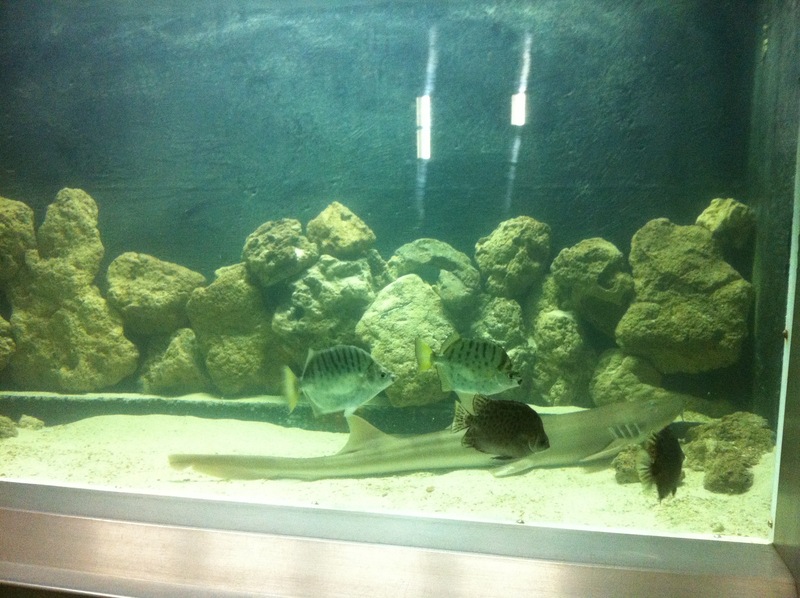 Tell them you want to be able to visit the aquarium with your children or grandchildren, nieces and nephews. Tell them you want to spend your first date there with your soul mate. Tell them. Painting, polishing, perfecting. Just for you. 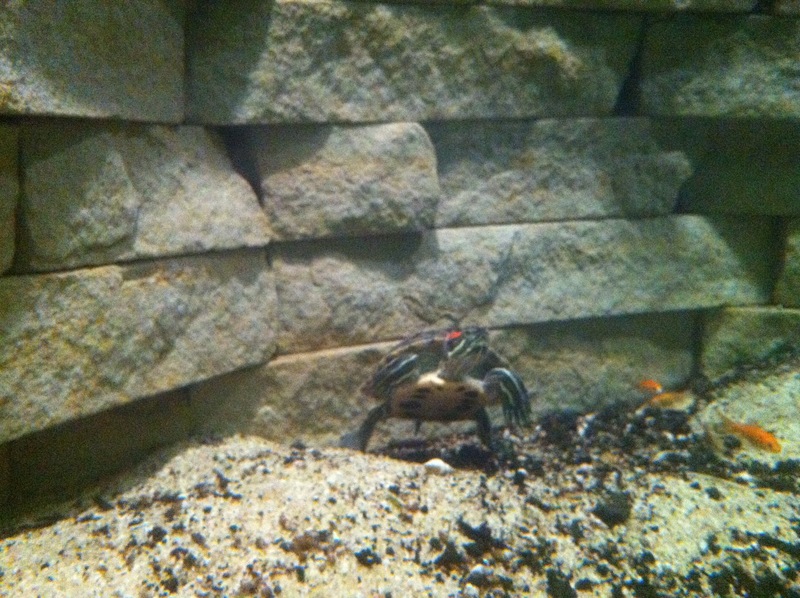 Won't you help their efforts with a little $$ to keep the aquarium open? Maybe you'd like t-shirt to show your love all year 'round? This turtle belongs to a boy in Pinckney and he has brought him to the aquarium to make some friends - both fish and human alike! Prior to this, he's never been in a tank so large! Don’t forget to stop by the Casino at the Preservation Wayne table to say hello! Unless, of course, your conservation with the shark runs over. I’ll understand. Detroit News from Lafayette Ave. 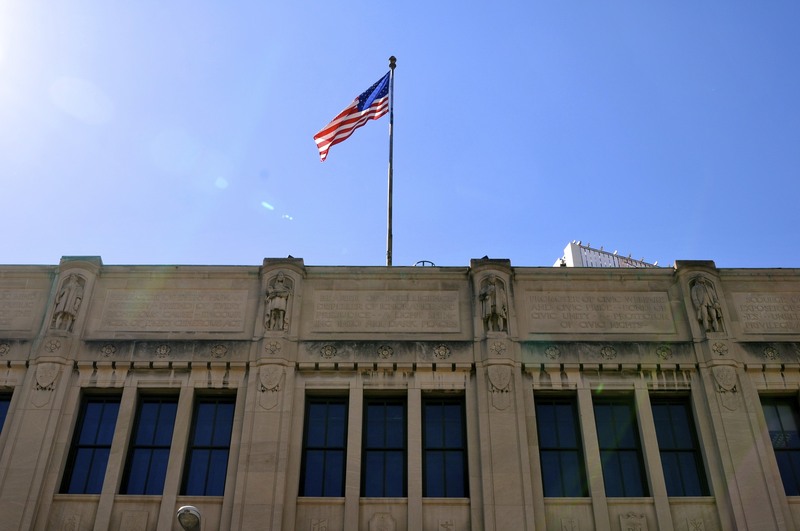 In 1916 Albert Kahn designed the Detroit News Building with his associate, Ernest Wiliby for George Booth. Kahn and Booth had worked together before when Kahn built the home for Booth and his wife, Ellen, in the Arts and Crafts Style of their Cranbrook Estate. 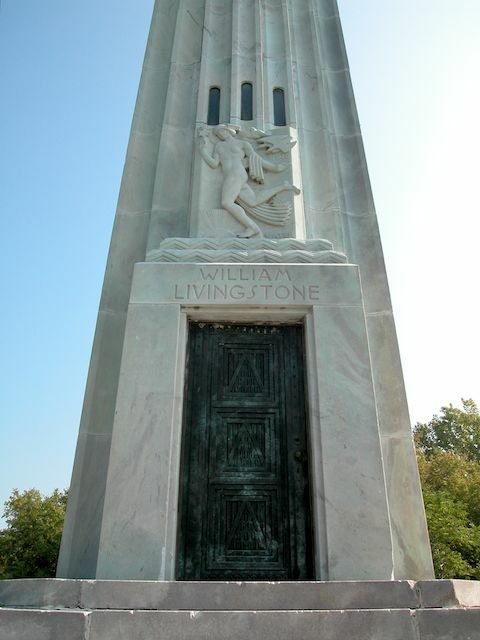 Surely they had known each other not only as prominent businessmen in Detroit’s circles, but also from the Society of Arts and Crafts in which both Booth and Kahn were founding members in 1906. 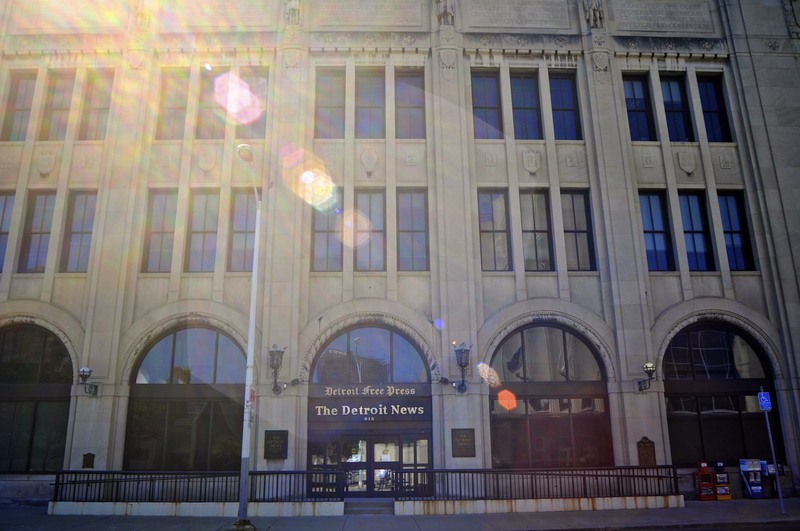 The structure of the Detroit News Building was made of reinforced concrete and footprint takes up a full block at Lafayette and Second Avenues. 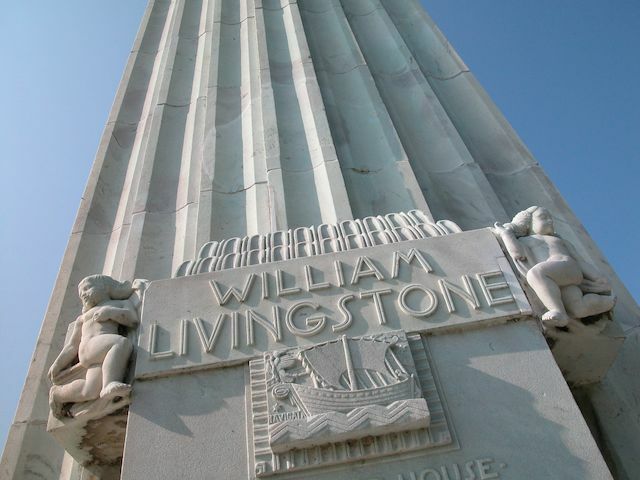 The symbolism of the ornamentation lends itself to an Arts and Crafts influence – specifically with the printers marks and the figures of the pioneers in printing: Gutenberg, Plantin, Caxton, and Franklin. 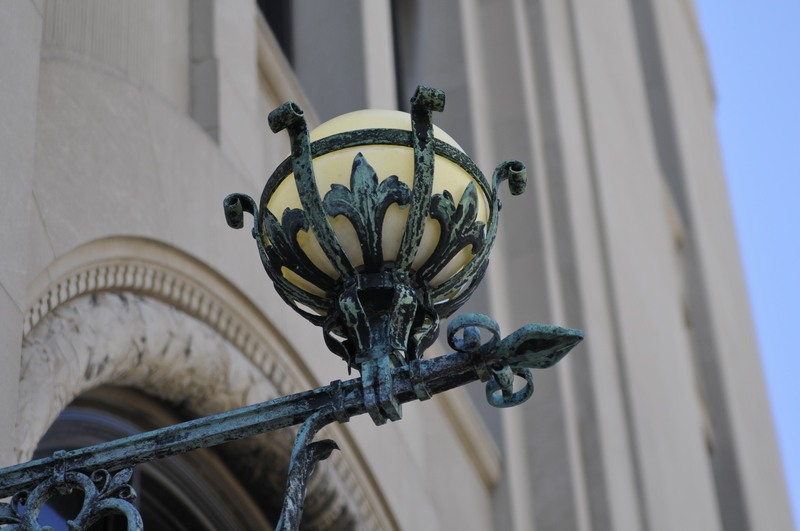 Additionally we see carved arch moldings and ironwork detail above the first floor windows. 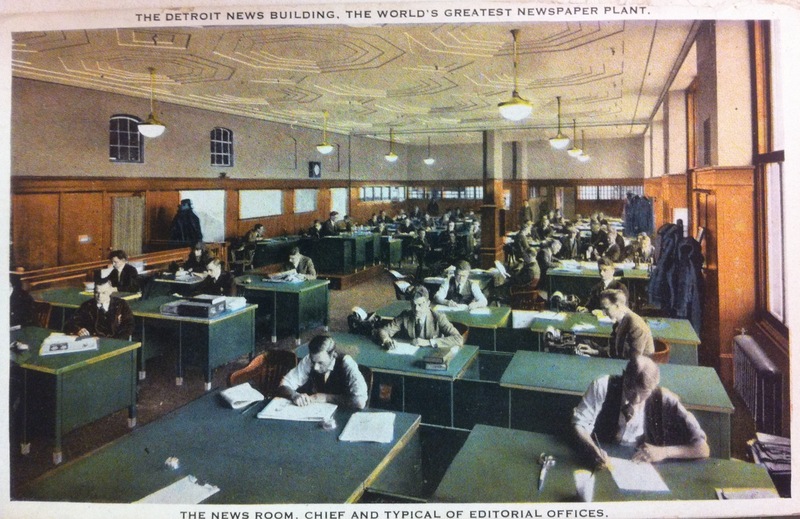 My historic postcard of the news room shows us the beautiful interior wainscoted in oak with flat coffered ceilings. The postcard caption: The work of the large editorial staff of The Detroit News is a supplemented by the three greatest new gathering agencies hundreds of special and staff correspondents in America and abroad, five photographic services and 15 “featured syndicates.” The News has 17,000 volumes in it’s private library. 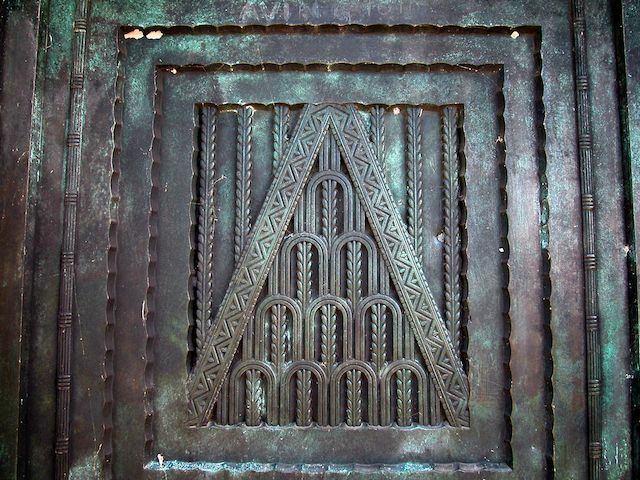 One of the things that fascinates me so much about architectural ornamentation how sculptors and artists put so much symbolism into their designs. 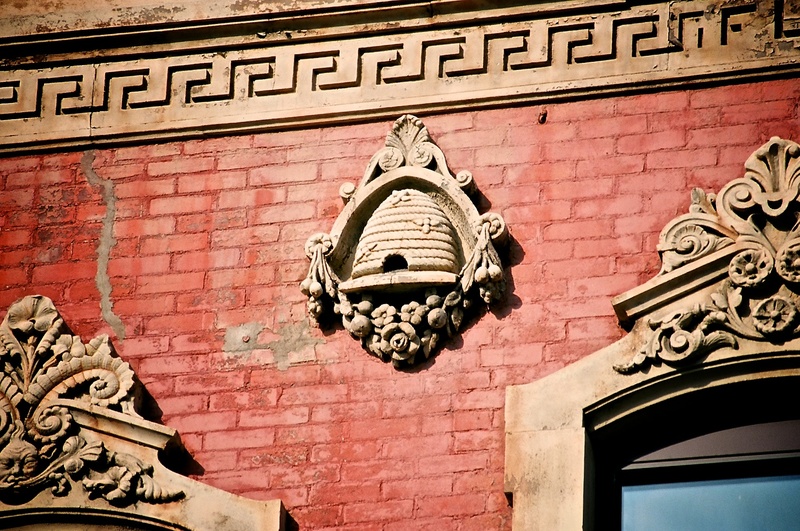 My favorite symbol to find on buildings is the bee hive – and in Detroit we have quite a few structures. The hive is a symbol of organization and structure and buzzes like a factory or workshop of tireless activity. Bees produced honey which some say is the food of the gods. Combined they are symbols of industry, regeneration and obedience. Here is the first – in chronological order – building we see with a hive. 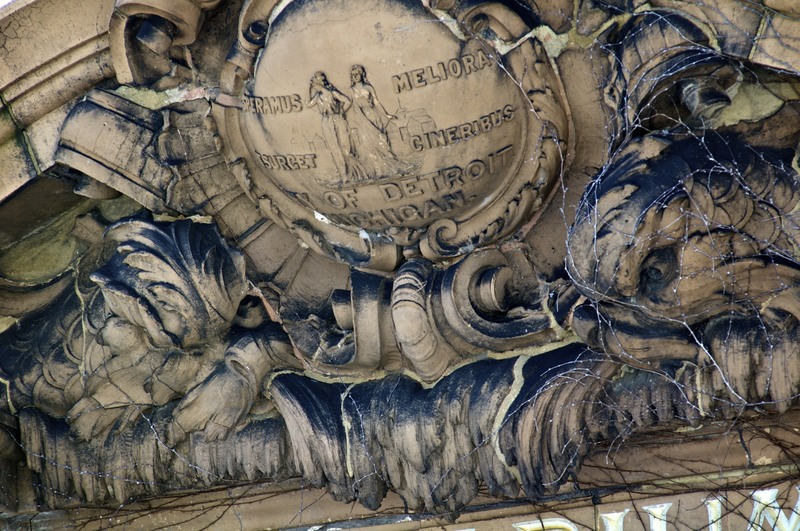 This is the Temple of Odd Fellows Building built in 1874 on the edge of Greektown on Randolph and Monroe. It’s of late Victorian commercial design with red brick and cream colored terra cotta. 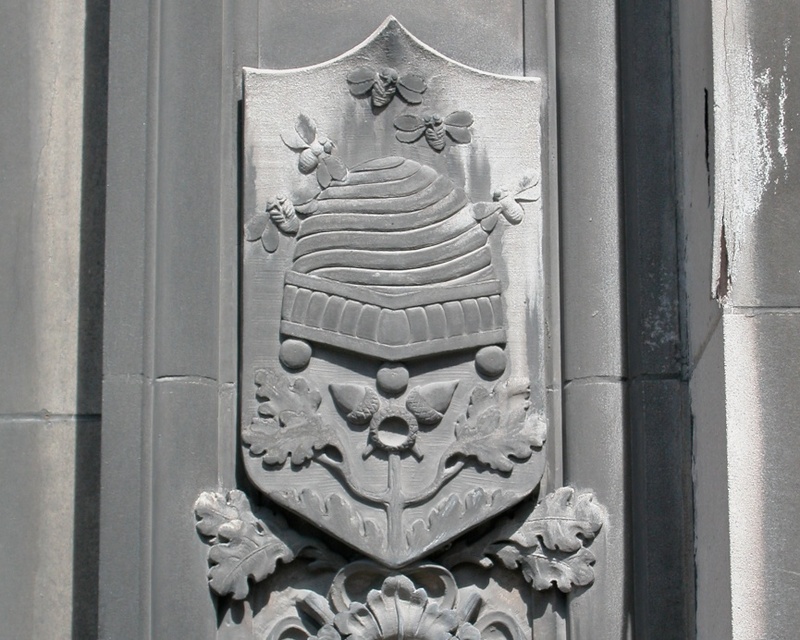 Secondly, we see the bee hive several times – both exterior and interior – at Detroit’s Masonic Temple. Built in 1926 by the Dean of architecture himself, George D. Mason at 500 Temple, formerly Bagg Street. 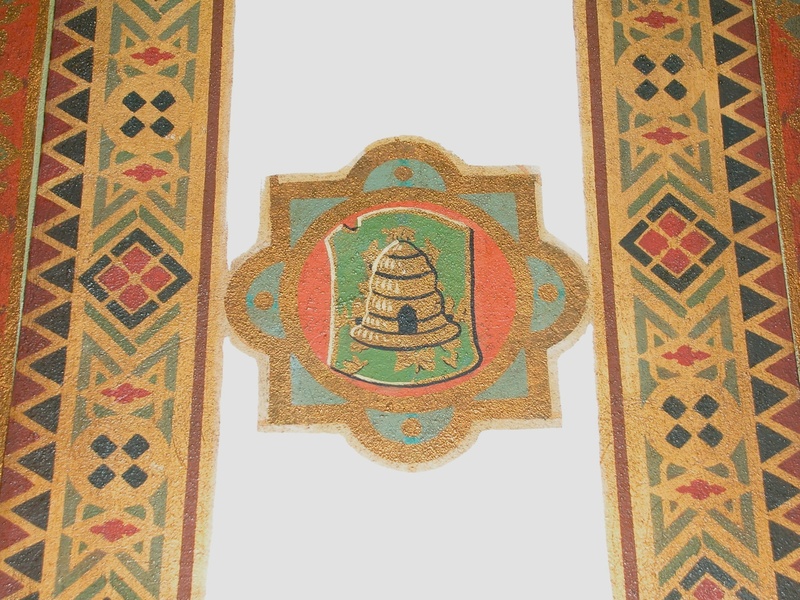 Below, is an interior image of some decoration of a lodge room. 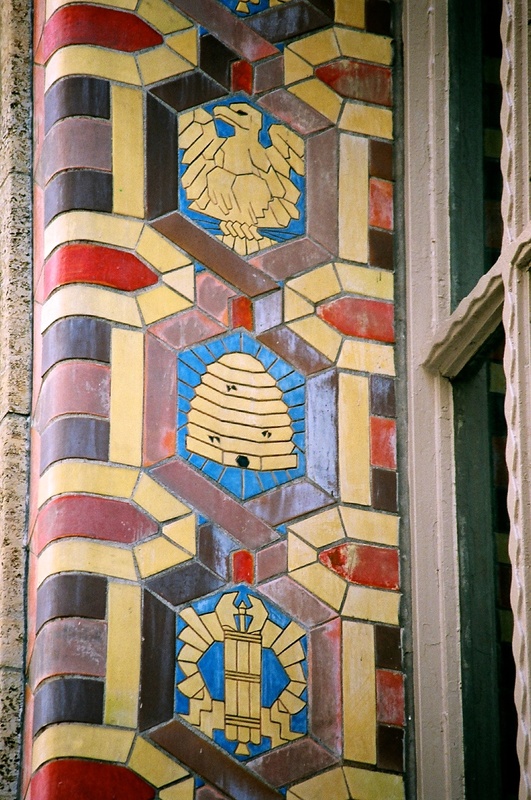 In the window jambs of the Art Deco Guardian Building of 1928, we see Mary Chase Perry Stratton’s Pewabic version of the bee and it’s hive. This is above the Congress Street entrance. 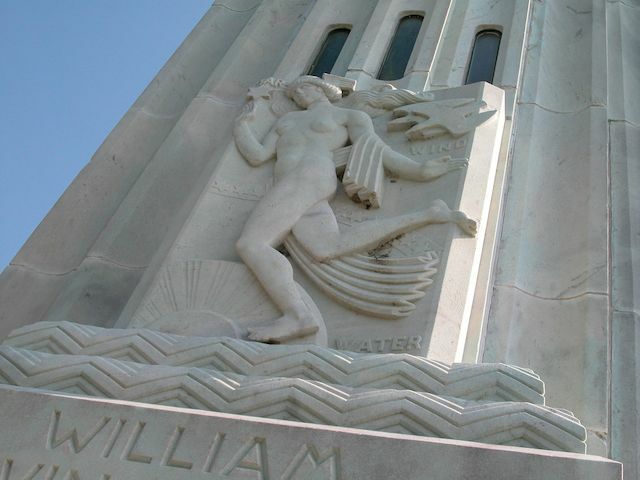 My most favorite bee hive of them all… this graceful allegorical figure on the Fisher Building holds a beautiful platter with her hive for all to see. The Fisher Building was built in 1929 by Albert Kahn for the Fisher Brothers. 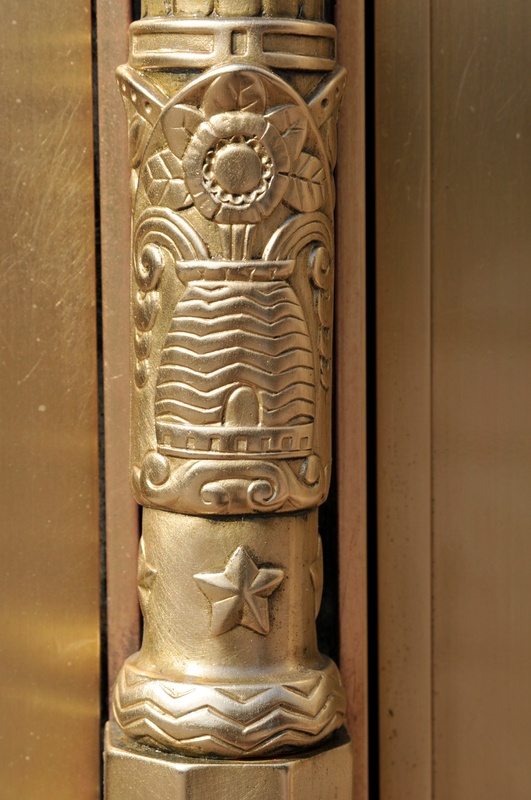 There is even a bee hive on the base of the door hinge on the main entrance on Grand Boulevard. 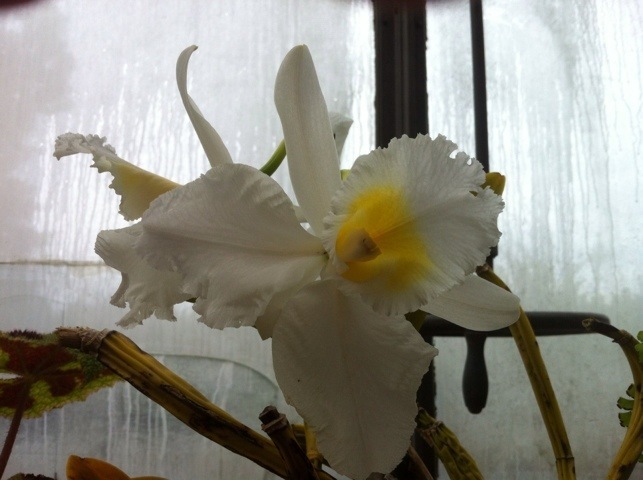 Here, this version has stylized art deco flowers coming from it’s top. The interior of the Fisher has beautiful lunettes designed by Geza Marotti and can be seen from the third floor balcony. Maroti came to Detroit around 1927 to work on the Cranbrook School on George Booth’s estate. Because of the mutual friendship of Booth, Maroti was introduced to Albert Kahn who at the time had on his drawing board a magnificent skyscraper tower that totaled 28 stories. This, of course, would be one of the greatest contributions to Detroit architecture: Kahn’s Fisher Building. 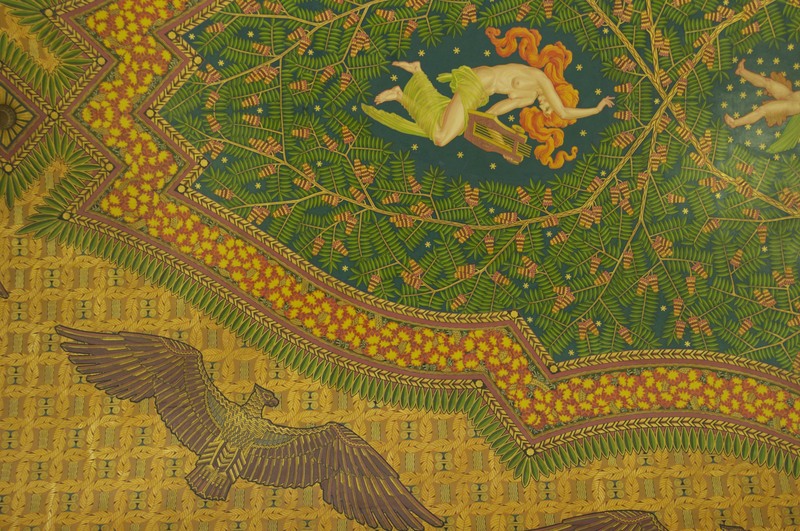 The photo shown is the ceiling of the main arcade, and of Maroti’s design. 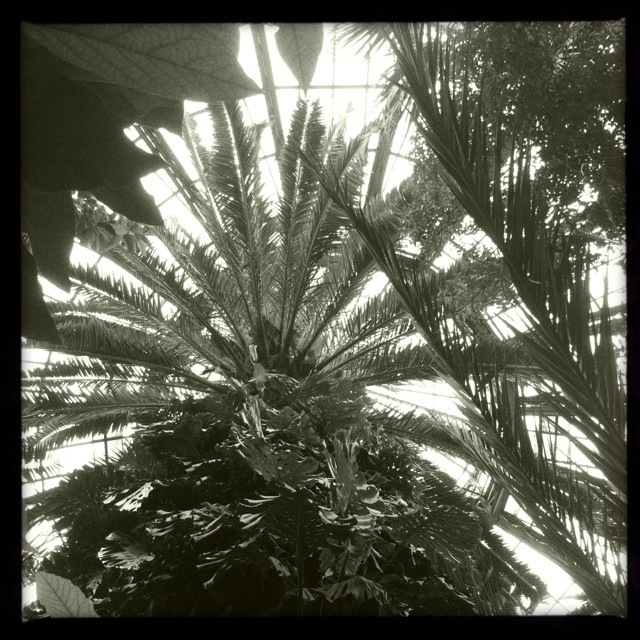 Photo courtesy of Jack P. Johnson, Copyright 2010. 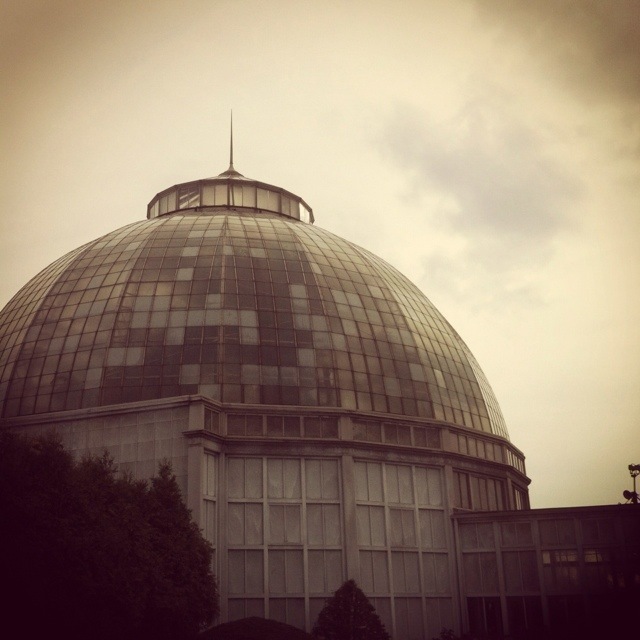 The Belle Isle Aquarium was built by Albert Kahn and opened just over 107 years ago on August 18th, 1904. 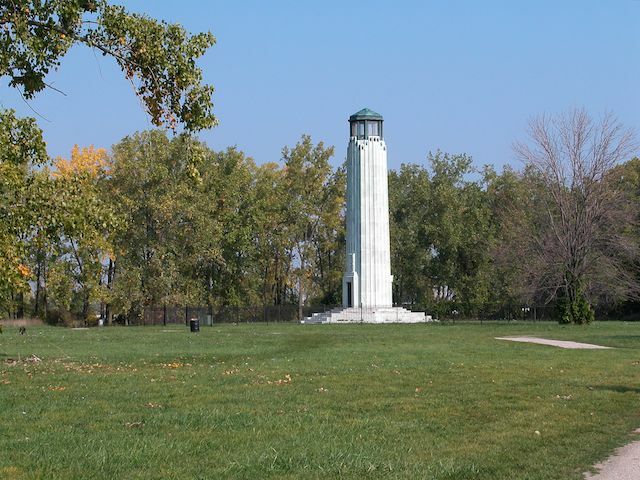 At the time it was built it was one of the most popular attractions on Belle Isle and cost $160,000 to build. 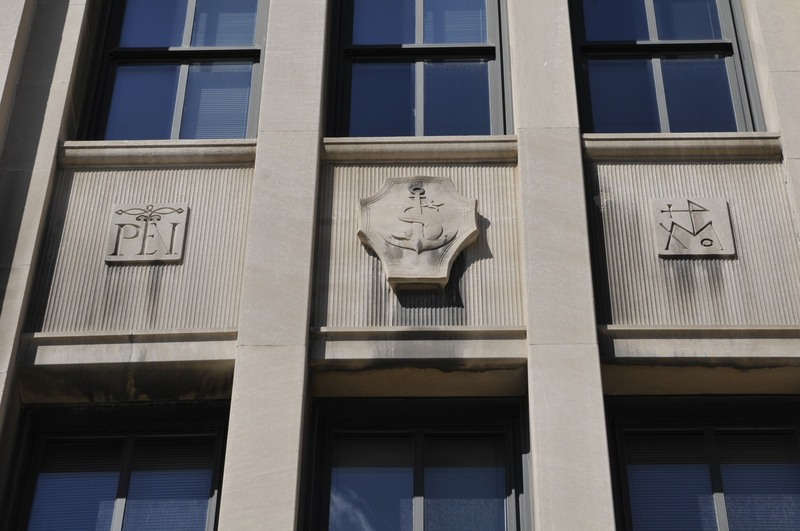 Here you can see the exterior ornamentation and cartouche – note the two fish-like creatures which are spitting water – the one on the right is the most distinguishable. All of the exterior details have a water theme. The banded columns have a feeling of water pouring from the bands, and above the image you see here, there is a large figure of Neptune, the Greek God of Water. I presume that this ornamentation would have been created in New York for Kahn and shipped to Detroit. Kahn’s office would have had to draw scaled drawings of all the ornamentation. 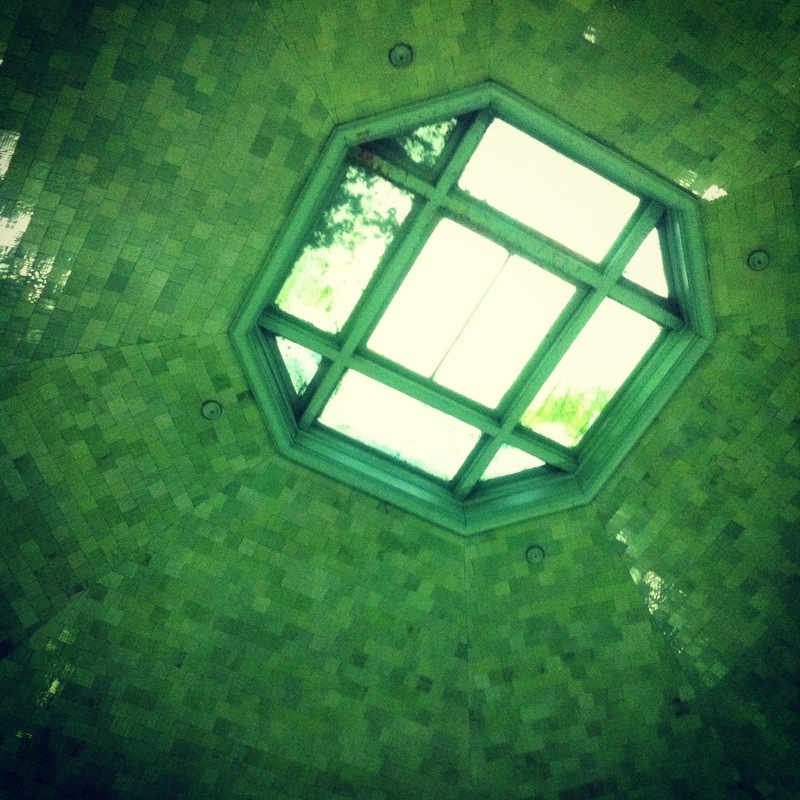 On the interior, there are beautiful green tiles that cover the entire ceiling of the dome where both fresh and salt water fish could be viewed. The aquarium was closed in 2005 due to city budget cuts, however, it can still be viewed during special events such as the annual Shiver on the River in February with the support of the Friends of Belle Isle Aquarium.